Add variety to your boy's toy collection with this camera set. It comes with two cameras and several multicoloured discs. 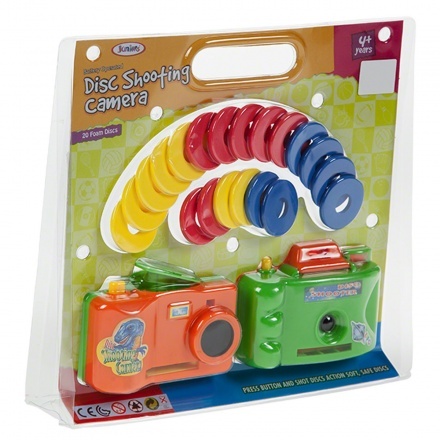 The cameras shoot discs on pressing the shutter.